Local sales, service and support boosted in Canada and the U.S.
TWS is the premier provider of advanced washing solutions for material and mineral washing needs in Aggregates, Recycling, Mining and Industrial Sands. According to TWS, this combined offering—including 20 regional partners via 50 service depots, 60 mobile trucks and 100 expert technicians across North America—along with their pioneering approach to plant solutions makes TWS the intelligent choice for customers who understand how expert knowledge and a genuine product support infrastructure on their doorstep helps maximize return on investment. Oliver Donnelly, TWS Director commented "The cornerstone of our international success is our strong customer relations and how we work directly with them to bring mutual success. Our new enhanced levels of sales and service and support will build upon momentum gained in recent years as we continue to focus on serving customers, with world-class washing equipment solutions that add commercial value to their operations. Our blend of global experience and local experts enables us to provide a level of aftersales support that is genuinely industry leading. 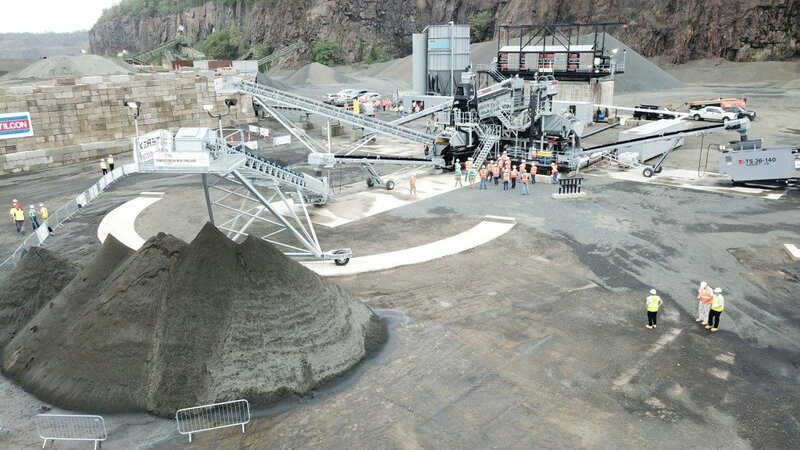 TWS is a provider of advanced washing solutions for material and mineral washing needs in Aggregates, Recycling, Mining and Industrial Sands. An unrivalled heritage and a world class engineering team has resulted in today's product portfolio that converts natural and waste materials into high value, saleable products with a high degree of efficiency. Donnelly continued, "The support of our regional partners combined with TWS direct support and experience means we can offer our customers across North America end-to-end solutions, from initial enquiry through to support and service. We're working with partners who have been in the industry for many years and have extensive experience and expertise in servicing mining and quarrying industries." Following one of the largest TWS installations in the U.S. to include a full end-to-end washing and water management solution, a TWS customer in Connecticut, USA, commented "Knowing we had technical experts at the end of the phone and available to visit our site gave us reassurance from the initial inquiry right through to the final commissioning of the plant. The service and support has been second to none."